The neutral ivory color and sophisticated styling of these rectangular frames will catch the eye while feeling rich and unique. 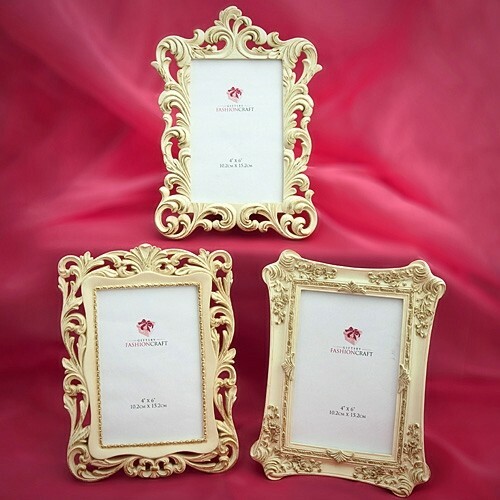 Made of sturdy poly resin, the set features three (3) assorted Baroque designs in ivory, each with brushed gold leaf accents, a central glass-front window, and a velvet back hinged for easy insertion of a 4x6 photo. PLEASE NOTE: Sold as assorted sets of three (3) and prices quoted below are per set.